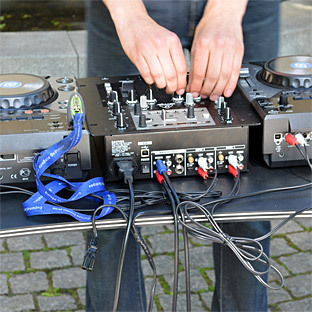 During this year’s Culture Night in Umeå (Kulturnatta), Vadim Alexeyev will arrange a seven hour long DJ club with house music at the Mimer School parking lot in central Umeå. It will be Kulturnatta’s first ever DJ scene outdoors. The focus will be on house music, but the event will also include other types of electronic dance music. For some of the DJ:s it will be their first gig ever.